Many Northern-Hemisphere people are part of the community around this site. And you are very welcome here. And we hold much in common. One thread of resources on this site is to try and translate practices of worship and spirituality which originated in the Northern Hemisphere, into our Southern Hemisphere context. The connection of the four Advent candles with the stars of the Southern Cross that are in our night sky every night of the year is an idea that has a lot of potential. 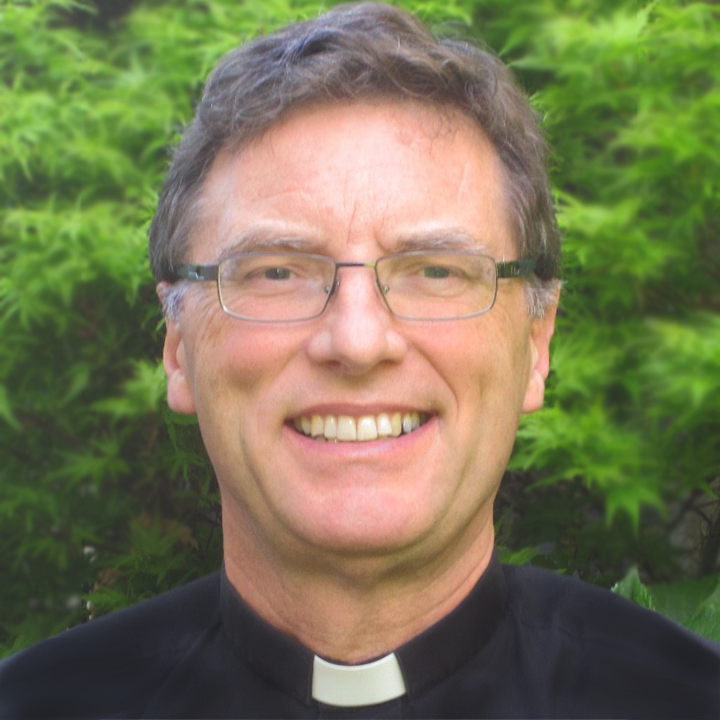 A text was brought to the Anglican-Roman Catholic Commission of Aotearoa New Zealand (ARCCANZ) by Father Yvan Sergy. This was further developed by Dean Jan Joustra with Andrea Savage, and by the Commission. Click here for the 2010 resource for ecumenical worship to begin Advent. Click here for prayers at the Advent Wreath related to the lectionary Sunday by Sunday. Click here for another Advent Wreath blessing, and an Advent Wreath song. Click here for an earlier ecumenical Advent service which may provide other useful resources. The focus is on the coming of light into the world, as with every Advent wreath service. However, ARCCANZ is offering a particular and new expression of this truth using the stars of the Southern Cross in the night sky. These stars are symbolised as four white candles with stars in front of them or on them. This symbolism is offered instead of the green wreath with its coloured candles, which originally derived from the Northern Hemisphere in a very different season of the year. However, it is still possible to use the four coloured candles with the traditional Advent wreath in this service and to focus on them as lights that shine in the dark. The new approach, referring to the stars of the Southern Cross, is prompted by a number of biblical images. The saints are called to shine like the stars of the night in the book of Daniel (Chapter 12, verse 3). It was a star that guided the Magi to the Christ child (Matthew, Chapter 2, verse 9). The coming of Christ is described by Saint John (the Gospel according to Saint John, Chapter 1, verses 4 and 5) as the coming of a light into the darkness, which the darkness cannot overcome. We are called, like John, to witness to this light as Christians. Ultimately, Christ is described as the morning star in the book of Revelation (Chapter 22, verse 16). The season of Advent expresses all these hopes. In the night sky in the Southern Hemisphere, the four central stars of the Southern Cross shine permanently above us. From ancient times, these stars offered travellers and ocean navigators who looked up to them, a sure sense of direction, the way to true south. So also as Christians, we look to the cross of Jesus and the light of His resurrection to offer us a true bearing for our lives: the Way, the Truth, the Life. In the season of Advent, in particular, we remember and anticipate the coming into the world of the light that enlightens everyone, as a baby and as the Redeemer Judge at the end of time. Advent Wreath in the Christmas Season? I have wondered Father Bosco about the fact that the dominant northern hemisphere’s themes dominate Advent and Christmas. Because it is winter in the North by Christmas and has been cold and snowy in many parts of the North a few weeks before Christmas, all of the themes of which I am acquainted are winter based. White Christmas, Yule logs in the fireplace, the evergreen trees, the only trees still green, etc. Has the southern hemisphere developed any of your own themes that revolve around the fact that for you lot Christmas is in the dead of summer? Good question, David, certainly we have our own “feel” about Christmas that appears coherent, and I think we are just used to singing about snow as well. I’ve tried to bring in Southern Hemisphere perspectives into my book Celebrating Eucharist, and you can see some of that come through my ideas on Advent and Christmas. We are far enough south here in Monterrey that a cold snowy Christmas is something that we know belongs to the dreams and stories of Christmas of more northern neighbors. Our winters are usually 4°C and higher. But five years ago the jet stream dropped farther south and late in the afternoon of la Nochebuena (Christmas Eve) it was getting very cold. And it started snowing. The streets and sidewalks were not cold enough for the snow to stick, but the cars quickly were. The children gathered all of the snow off of the cars and soon there was a snowman on the truck of every car on our block. One Frosticito was very dapper in his sombrero. He stood his post guarding a very pathetic Charlie Brown Arbol Navadeño. By Christmas morning it had warmed a bit and it was all gone. Aside from a number of Christmases in the US, that was my first and only White Christmas in Mexico, where it mostly snows atop the highest of volcanos. Willow Macky (writer of ‘Te Harinui’) has a lovely song about Christmas in New Zealand that compares a our sun and sand to snow etc. in the Northern Hemisphere. I highly recommend “At Christmas Time” for groups of adults or children to sing. It’s got a lovely catchy melody and interesting lyrics. Thank you for this! I am in Argentina. I am always looking for Southern Hemisphere resources for the liturgical seasons. I really like the idea of the Southern Cross. Thanks for your encouragement, David. Blessings. I live in the Northern Hemisphere, but in California where Advent comes at the beginning of the rainy season. After months of hard dry waiting, life burst forth again. The dry grasses on the golden hills turn green, and the air is full of the scent of rejoicing trees, feeling the water with their leaves and their roots. New life comes everywhere on Earth, but the seasons of change are different in all places. Thanks, Rachel, for your helpful comment. Blessings.